Working part-time at IFC Center in the heart of Greenwich Village in New York City means, among other things, that it has been quite some time since I have been to a more mainstream, populist movie theater. It’s not that I’ve become a snob, it’s just that the allure of free movies at not only IFC, but also an extraordinary range of other indie and arthouse theaters here in the maggoty Big Apple, has kept me away from the kind of movies for which I might actually have to pay. It hasn’t really been that difficult, since pretty much everything I’ve actually wanted to see for the past six months has played at one of those less mainstream spots. I’d like to start this review off with a question: Does anyone even know about this film? The reason I ask is, for those of you who don’t know, I am currently living in Gifu, Japan, where the selection of films from the west that make it to rental here are not always the most well-known or popular back home. Having only read Wikipedia’s plot description of Vantage Point to refresh my memory, I saw there that the film got a 95% at Rotten Tomatoes and was overall a box office success when it was released in February of 2008. 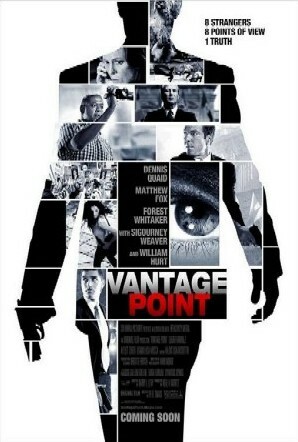 Though after seeing the film, I am unable to fathom how that could be the case, why was I suckered into watching Vantage Point? Two words: Matthew Fox. For those of you who are fans of Lost, let me just tell you, it’s even bigger here in Japan. 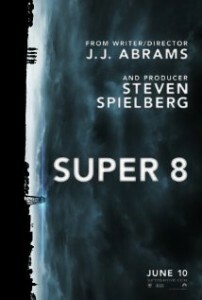 So if any Lost fan sees Matthew Fox’s face on a DVD cover at the store here, they’re going to rent it. Being a die-hard fan of Lost myself, I got suckered in by the same Hollywood tactic. Although the premise of the film is a little too reminiscent of 24, I liked the idea of a film that employed Akira Kurosawa’s Rashomon effect of showing the same event from multiple perspectives, giving the viewer the responsibility of sifting through the facts and coming to their own conclusion. Vantage Point tries to one up Rashomon, however, in that it gives us eight different perspectives of an assassination attempt on the president while he speaks at an anti-terrorism rally in Spain. Now that you know why I gave Vantage Point a chance, let me get to the real heart of the matter. Why didn’t I get this film?